On July 1, 2018, the minimum wage in the Cities of Los Angeles & Santa Monica, and the County of Los Angeles increased. If you have not done so already, we recommend checking the minimum hourly wage settings in your POS and adjusting, if needed, to the new minimum wage. For specifics, please see the Los Angeles Minimum Wage Official Notice or the following link to the City of Santa Monica’s Municipal Code. 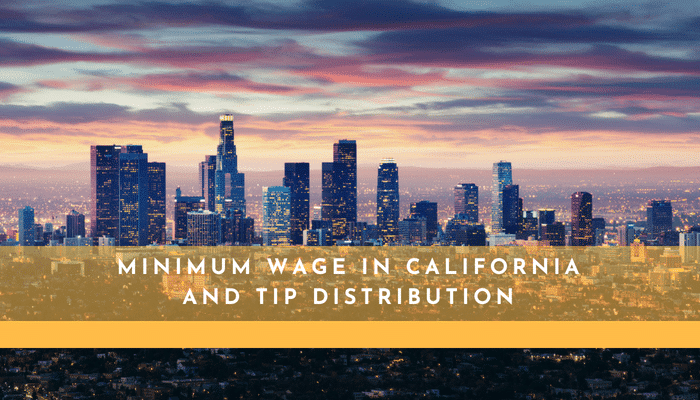 If you are doing business outside the Cities of Los Angeles or Santa Monica, or the County of Los Angeles, we highly recommend that you check with your local municipality on the minimum wage rates to ensure your POS is programmed correctly. Faced with a very competitive labor market at full employment and wages rising to competitive levels, many restaurant operators will need to explore different strategies in regard to staffing and payroll costs. Fortunately, there is a light at the end of the tunnel for restaurant owners and operators, in the form of changed tip pool regulations that went in to effect on March 23rd in the Omnibus Budget Bill of 2018. In this budget bill, the Fair Labor Standards Act was amended to allow all employees, front and back, to participate in a tip pool program. This essentially means that back of the house employees can be part of the tip pool, provided certain requirements are met, which can help to offset their wages and allow operators to keep them happy and increase retention. If you are considering including your BOH employees in your tip policy, we at KROST can help you set up a personalized tip pooling system to fit any type or size operation and take the confusion and difficulty out of setting up and maintaining these protocols. We can help with your current POS system and will also recommend the latest in tip management software solutions.